Admiralty Arch, dedicated by King Edward VII to his mother Queen Victoria, stands between The Mall and Trafalgar Square. Designed by architect Sir Aston Webb it was built in 1911, a year after Edward VII's death. During the Blitz the Arch was guarded by its own ARP detachment of Great War veterans and members of three London clubs. In the night raid of 16-17 April 1941, the top of the Arch was hit by a high explosive bomb (one of four dropped in the vicinity) which resulted in extensive damage. 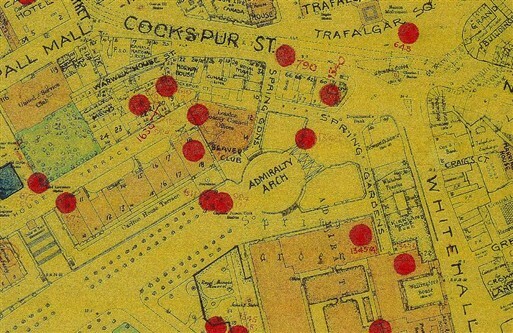 Civil Defence authorities began an investigation into an incident at 55 Whitehall at 3.50am on 17 April 1941, suspecting a high explosive bomb had hit that area. 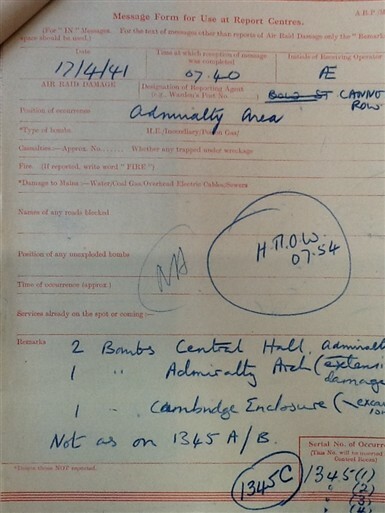 Twenty minutes later, the Report Centre received a message indicating that 55 Whitehall had not been damaged by the bomb as previously stated. Instead, the front of the Admiralty, opposite No. 55, had been hit. Not until 7.40am that day did the Report Centre confirm that the previous reports were false. 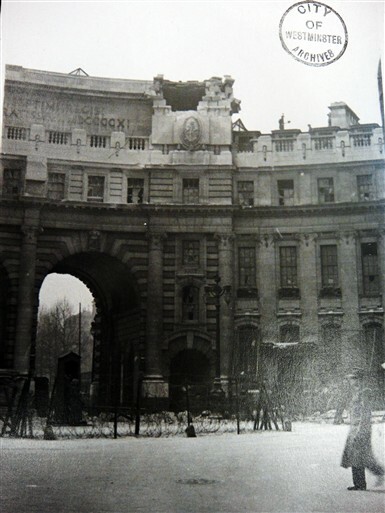 In fact, two bombs had hit the central hall of the Admiralty; one struck the top of the Admiralty Arch; another one hit the Cambridge Enclosure. The Mall was closed and people were evacuated from the Cambridge Enclosure. No casualties were involved in this incident. 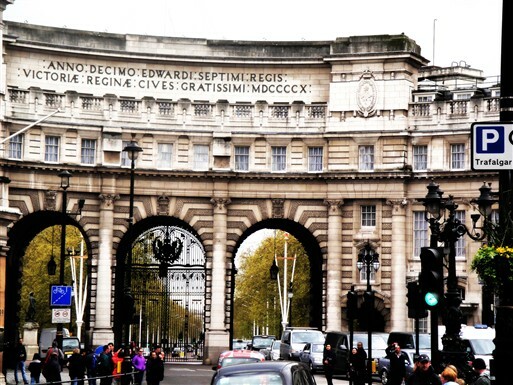 In 2012 Admiralty Arch was sold by the British government to a private investment group for £60m. In 2022 it is set to re-open as a luxury 96-room hotel, private flats and restaurants. This page was added by Yi Luo on 24/04/2012.